N2017-06: Urban Forests in Nordic Regions – What can the National Forest Inventory tell us? Please visit the Network’s home page! The networks Natural Disturbance Dynamics and PRIFOR had joint activities in 2013. Coordinator: Vivian Kvist Johannsen, Denmark. The networks Natural Disturbance Dynamics and PRIFOR had joint activities in 2012. Excursion to northeastern Finland and westernmost Russia. Special issue of Silva Fennica “Northern Primeval Forests – Ecology, Conservation and Management”, 45(5), 2011 based on presentations at the PRIFOR 2010 conference. A PhD-course in Forest Regeneration in the Nordic and Baltic Region, organised in the form of a tour of field research stations in Sweden, Finland, Estonia and Denmark. A two-day workshop on the same theme,in southern Sweden. Activities: Meetings will be held in Sweden and Estonia to exchange ideas and new research results on cone insects that damage the seeds of coniferous trees. Activities: Joint visits to important field sites in Norway (Långtjärn), Finland (Lakkasu) and Sweden (Balsjö), where forestry effects on mercury contamination have been studied. Activities: Network meeting in Sweden including a field trip focusing on monitoring biodiversity. Activities: Meeting and building-up webbased channels for research news and communication, in collaboration with EFINORD. 8th meeting “Northern European Network for Wood Science and Engineering (WSE)” in Lithuania, 2012. Activities 2011: A two-day workshop on wood-science and engineering, with publication of the proceedings. Activities: A two-day workshop with the editorial board and invited guests in Denmark. Sustainable forest management in northern Fennoscandia – platform for borderless northern research. Scandinavian Society of Forest Economics. Coordinator: Bo Jellesmark Thorsen, Denmark. Nordic cooperation group of dendrochronology. Development and maintenance of NOLTFOX, the Northern European Database of Long-term Forest Experiments. PRIFOR – Nordic working group on the history of primeval boreal forests. Coordinator: Bengt Gunnar Jonsson, Sweden. Seminar on ditch network maintenance in peatland forests – updating our knowledge on timber production, environmental effects and newest adaptive practices. Network for communicators at Nordic and Baltic Forest Research Institutes. Natural disturbance dynamics analysis for forest ecosystem management. Read more about the network at its website here. Workshop: Long-term effects of intensified harvesting for bioenergy – what can we learn from established experiments?. Download minutes from network meeting (pdf). Nordic Forest Water Mercury Network – NorForM – Managing Forestry’s Impact on mercury contamination in fish: Does the varying sensitivity of different catchments to harvest impacts hold the key to more effective mitigation? WSE – Nordic-Baltic network of wood science and engineering. Nordic Network on Forest Policy Science. BIOGEOMON 2009- Internationellt seminarium i Helsingfors. Seminarium i Koli: Miljötjänster; kolbindning, biodiversitet. Nordiskt forskarnätverk om klimatförändringens risker för skogen. NOLTFOX. Utveckling och vidhållande av den nordeuropeiska databasen med fältförsök. Nordic Cone and Seed Insects. Nordiska arbetsgruppen för boreala naturskogars historia. Nordiskt-baltiskt nätverk för träforskning och träkonstruktion. Analys av naturlig störningsdynamik i skogsekosystem förvaltning. Symposium of Nordic Arboretum Committee in Latvia in June 2009: A Changing World and The Genetic Resources of Gardens, Parks and Landscapes. Coordinator: Knud Ib Christensen, Denmark. Harmonisering av nationella skogliga data från 1920 till idag. Workshop: Nordisk-Baltiskt nätverk för doktorandutbildning i skogskötsel. Network of Climate Change Risks on Forests (2008-2010). NOLTFOX: Utveckling och vidhållande av den nordeuropeiska databasen med skogliga långsiktiga fältförsök. 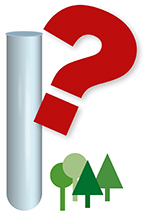 How much do roots contribute to the C budget of forest soils? Nordic network on role of roots in the carbon budget of soils. Nordiska arbetsgruppen för boreala naturskogars historia – PRIFOR. Seminar and meeting of the Nordic Co-operation Group for For. Inv. Cross-border biodiversity monitoring and conservation. Nordic working group on the history of primeval boreal forests. Transferring ecological impacts across national borders. 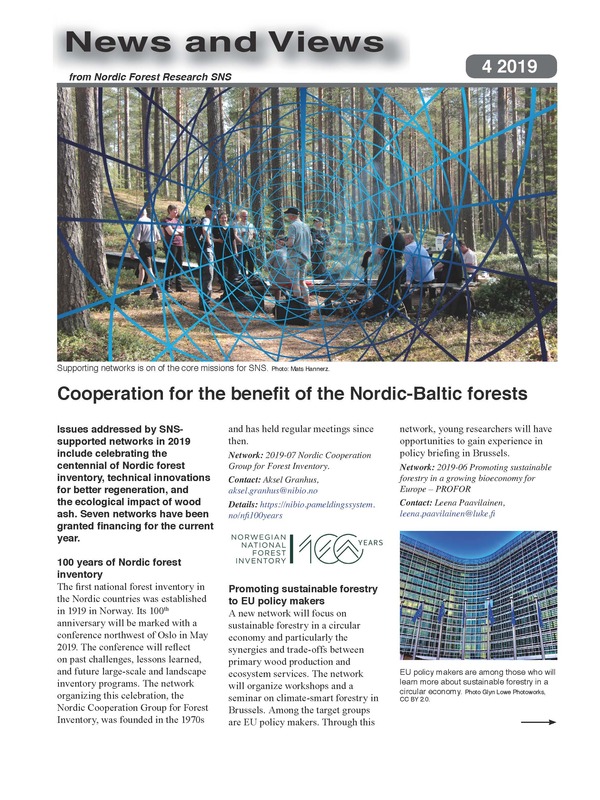 Nordic-Baltic Network for Wood Science and Engineering. Physically based remote sensing of forests. Nordic Tree Seed Research Network. Coordinator: Hans Peter Ravn, Denmark. Development and maintenance of the NOLTFOX. Network of Communicators at Nordic and Baltic Forest Research Institutes. Den tredje exkursionen av Fält Genetikers Nätverk. Konference om skov inventering, planlægning og statistikk. Coordinator: Vivan Kvist Johannsen, Denmark. Nordisk-Baltisk Nettverk for Treforskning og Trekonstruksjon. Natural Disturbance Dynamics Analysis for Forest Ecosystem. Coordinator: Ellen Juel Nielsen, Denmark. Coordinator: Morten Eikenes/Erik Larnoy, Norway. Coordinator: Anders Q. Nyrud, Norway. AFFORDNORD – inflydelsen af beskovning. Scientific meeting regarding Ips amitinus (I.a.) and other noxious bark beetles in Balticum and Scandinavia. Styrelsemøten i NSR år 2000. Coordinator: NSR v. Øystein Dale, Norway. Årsmøte i Nordisk samarbeidsgruppe for forvaltning av trærs genressurser. Coordinator: Tore Skrøppa, NISK, Norway. Samspil mellem jordboende insektlarver og nyttige micro-organismer för etablering av nåleträdkulturer i hojnordisk skovbrug. Network of Communicators at Nordic Forest Research Institutes. Environmental consequences of recycling wood ash to forests. Nordiskt och Baltiskt skogspatologimöte i Estland, 2000. Netværksaktiviteter mellem nordiske forskere indenfor forskningsområdet CO2-binding i skove. Arbetsgrupp för samarbete rörande långsiktiga fältförsök i Norden. Coordinator: Petter Nilsen, NISK, Sweden. The XXV Nordic-Baltic Congress of Entomology. Coordinators: Sigmund Hågvar and Jan Emil Raastad. NSV meeting 2000 at Røros, Norway. Nordiskt möte gällande diagnos- och rapportdatabas över skogsskador. Nordisk samarbetsgrupp i virkeslära. Årsmöte 1999 i Finland. Nordic Forum on Communication of Forest Research Results. Nordisk Arboretudvalg årsmøde i Uppsala, Sverige. Coordinator: Tóri Hoyvik og Tróndur Leivsson, Iceland. Nordisk Forskarskola i Trä och Träfiber. Coordinator: Göran Gellerstedt och Björn Sundberg, Sweden. The likely impact of rising CO2 and temperature on Nordic forests at limiting and optimal nutrient supply. Nordisk Arboretutvalg og Samarbeidsgruppen for forvaltning af traers genresursser. Coordinators: Trondur Leivsson och Tore Skröppa. Scandinavian Society of Forest Economocs Biennial General Meeting. Manipulating coccinellid aggregation for improved aphid control. Generating genetic knowledge on Acer platanoides-an insect pollinated hardwood species-implications for gene conservation. Forbehandling og udbringning af träaske i skog. Techniques for measuring canopy leaf area of dynamics in forests. Nordiska Skogsteknologiska Rådet (NSR) Styrelsesmöten under 1998. Download a list of SNS Networks before 1998 (pdf).